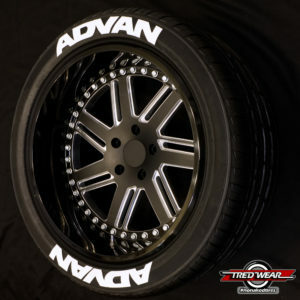 Unlike the bold uniformity of the racing font, some people might want to have a font that more closely resembles the brand on the tire. That is what this page is for. We can make a kit for most major *brands. Simply type the brand in the space provided and order the quantity that you desire. Remember one kit per tire provides you with lettering for top and bottom of one tire. The brand-name can be doubled up or we can do the brand and the model. You can also upload a high res image of your tire as well. PATENTED INDUSTRIAL ADHESIVE INCLUDED WITH EVERY ORDER! 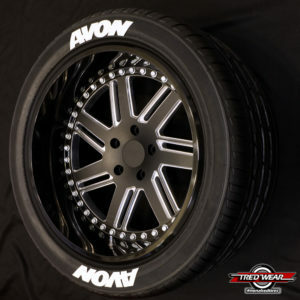 The Branded Tire letter kit allow you to create any tire design you desire. Please type a brief description below of your design. Many options are in stock and ready to ship. Upload a logo or picture with the link below if you desire. Didn’t see your *brand listed? No problem. That is what this page is for. We can make a kit for most major brands. Simply type the brand in the space provided and order the quantity that you desire. 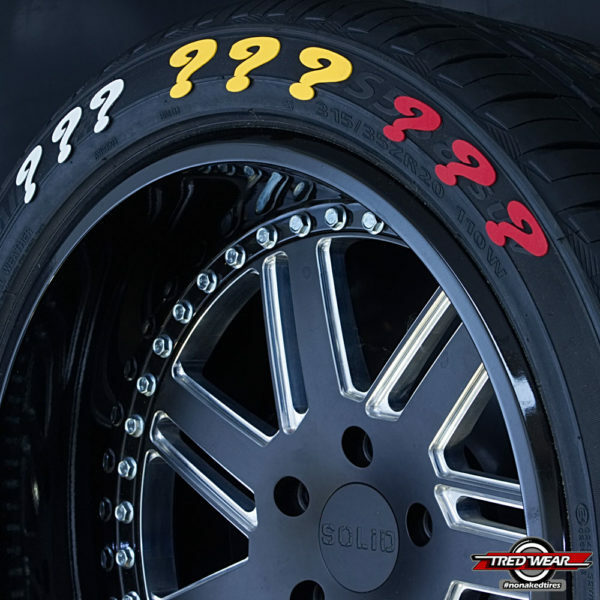 Remember one kit per tire provides you with lettering for top and bottom of one tire. The **brand-name can be doubled up or we can do the brand and the model. The option to upload an image is also available. What can you’re imagine? 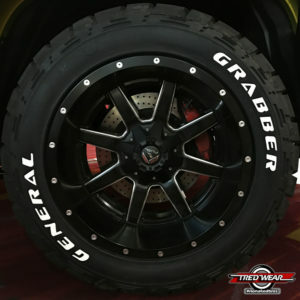 Let us CREATE your DREAM TIRE!! Let us know your ideas and we will send you a proof. Please upload the logo you would like to use. Logos need to be simple, single color and black and white. We will send you a Photoshop image of your logo once you have processed your order. *TredWear is not affiliated with any tire manufactures. 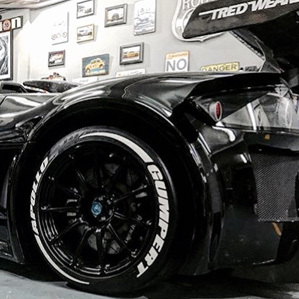 We only provide kits that fit your tires.